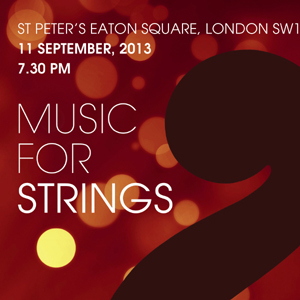 On September 11 Neil Thomson will conduct the London Serenata in a concert of 'Music for Strings' in St. Peter's Church, Euston Square. The programme will include Arthur Bliss' 'Music For Strings', written in 1935, and Sir Richard Rodney Bennett's 'Reflections on a 16th Century Tune', a work composed in 1999 and based on the French song 'A l’ombre d’un Buissonet'. Tickets will be £10 on the door, with free entry for children.